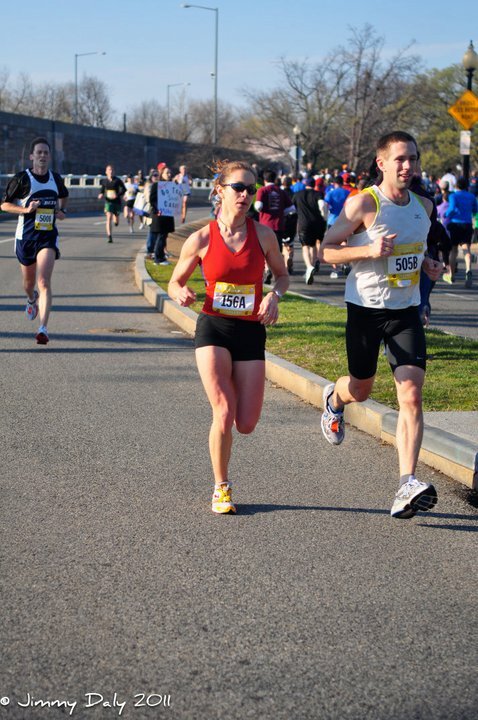 George Banker wrote extensively about Michelle Miller's finish as the top American woman at the Woodrow Wilson Bridge Half Marathon. That's a nice write up and good press for Michelle and GRC. Question: Is it a good idea to tag someone who works with furry creatures for a living with the moniker "Butcher"? That may just be the seed of the first "Occupy Poolesville" rally. Great write up! Michelle, you rock! I think Butcher is appropriate, and fortunately for the monkeys, that side of her personality only comes out on race day. And fortunately for all of us as well.